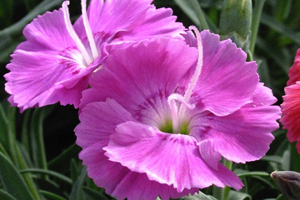 This Alpine Pinks variety shoots up loads of lavender blooms in spring. Tidy mounds of gray-green foliage. Great cut flower. Can be used as a ground cover, along paths or in rock gardens.